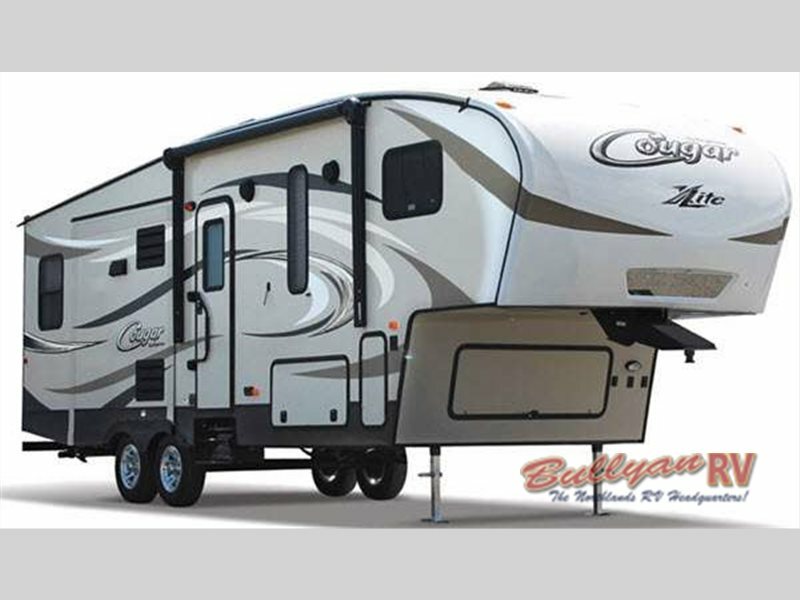 Keystone Cougar has been a reliable name in fifth wheels for a long time. 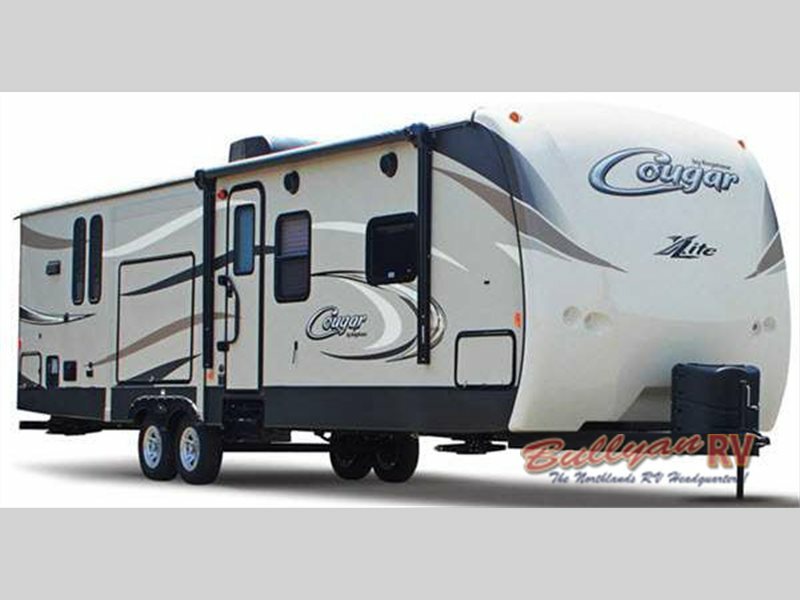 Now you can enjoy that same durability in the Keystone Cougar XLite Fifth Wheel and Travel Trailer but as a lightweight version with easier towing capability. With a one-piece seamless tan T.P.O. roof and five side welded aluminum super structure, you can rest assured that your Cougar X-Lite will stand up to all your adventures on the road and will be with you for many years to come. The enclosed and heated underbelly in addition to R-9 sidewall insulation, R-9 floor, R-14 ceiling insulation and R-15 astro-foil in the slide-out is a must if you would like to extend your camping season to include spring and fall. This is especially important up north here, when our summers can sometimes be cut short. It’s the little details that make a big difference in the Keystone Cougar XLite. A solid construction makes the Cougar XLite stand above the competition in the lightweight fifth wheel and travel trailer market. After an exciting day of exploring and sightseeing, you want to come back to a comfortable space to relax and go to sleep in. The Cougar Xlite has you covered. With stylish, residential style furnishings, an executive, chef kitchen and orthopedic sleep system mattress, you really will consider this to be your home away from home. 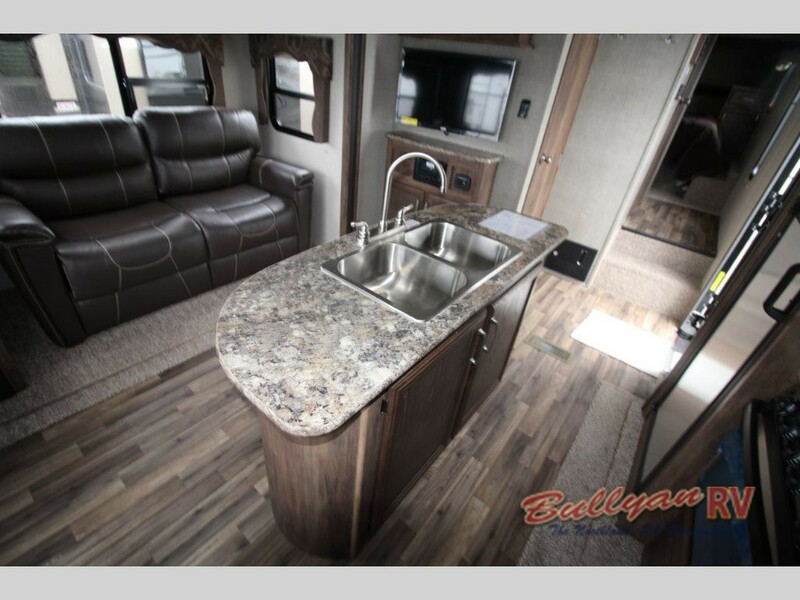 Features such as solid surface counter tops, fireplace, a kitchen island or outdoor kitchen are all available options in either the fifth wheel or travel trailer designs. On the exterior, you will love the convenience of magnetic slam latch baggage doors, LED electric awning and battery disconnect. The Keystone Cougar is committed to making camping fun! 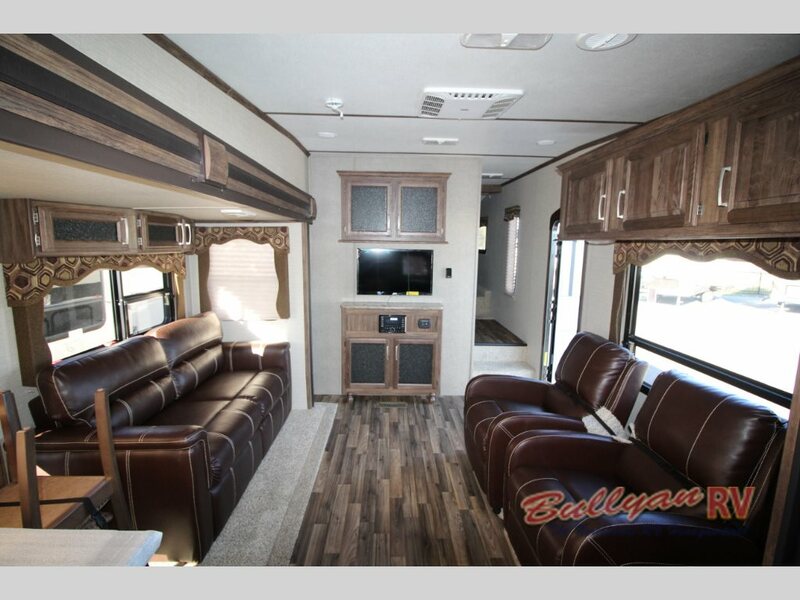 If you’re looking for a reliable, comfortable, easy to tow fifth wheel or travel trailer, Contact Us at Bullyan RV and we will give the grand tour of the Keystone Cougar Xlite. We can help you pick out one of the man floorplans to choose from to meet your specific travel needs. Spring is here. Time to go camping!